Collecting and preserving photographs has been a favourite pastime for most people, young and old. Sometimes they get stuck with so many photos from various occasions and varying times in the past, they wonder how to put them all together coherently. Baby Album - You could start your album with photos from various trimesters in your pregnancy and record your emotions. You could include ultrasounds and photos of the nursery too. Family Holiday- Holiday pictures are best arranged chronologically, i.e. day-by-day. You could also theme them place-by-place, or you could simply put up your favourite pictures from your holidays and record what you liked most about them. Graduation Day- You could make portrait portfolios of your friends and ask them to write something for you to give it the feel of a personalised slam book. Wedding Album- A wedding is the most special and important day in a person's life. A picture tells a thousand words and your wedding album could tell your whole love story. You could start with the 'Proposal' and go on to add your engagement photos, bridal shower photos, wedding photos and honeymoon photos. 1. Pets and Animals- Pets are part of family too and deserve an album unto them. Your pet album could include the day you brought your pet home and how you decided on a name for him/her. You could also make a portfolio of your pet. 2. Sports and Hobbies- Sports never fails to thrill and exhilarate its fanatics. You could start with a 'Training Journal' and go on to add photos of your teams, your uniforms, your coaches and your favourite cheers. 3. Photo Cook Book- A way to a man's heart is his stomach, or so they say. So why not make an album to record that special dish you made for your loved one for the first time! You could also make an album of the first time your child was in the kitchen helping you or making something for you. 4. Family History Book- What better way to preserve your family heritage than a collection of photos creating your own family tree! You could go back as far as you would like and sometimes be amazed at how many people love you and care about you. 5. Road Trips- While on bikes, cars or hitchhiking on a truck, you will see many billboards, signboards, and signals. Click them to create your own 'Highway' album. These are just a few examples. Think wild and you could come up with more of your own! 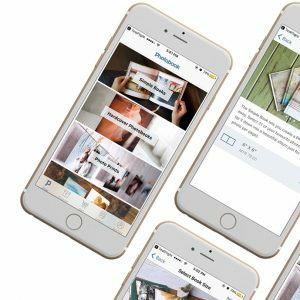 Photobook App - Create / Make The Best Photo Book From Your iPhone Is Now A Whole Lot Easier As Photobook Worldwide Brings You The App. Download It Now!